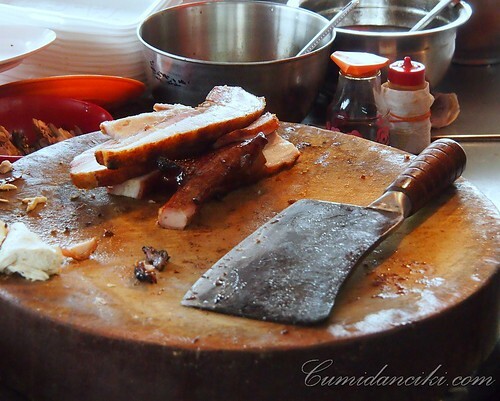 If you ever visit Kuala Lumpur, make no mistake when I say, this place is piggy mecca for the hungry soul. 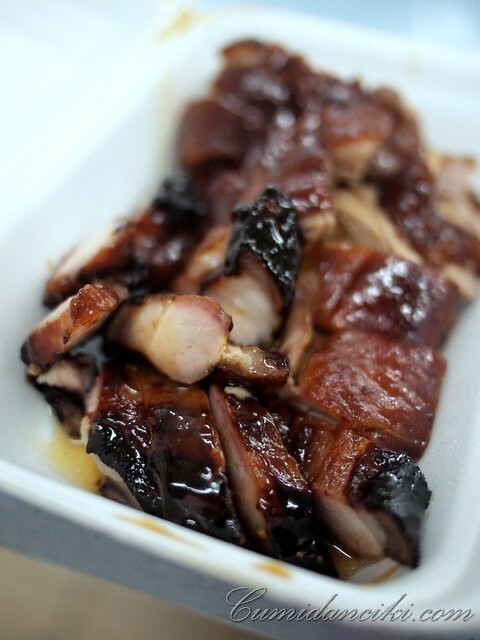 Our city is saturated with bellies, trotters, ears, snouts, and intestine — it’s a veritable porkapalooza out here, that should impress even the most seasoned of pork eaters. But where’s a pig junkie supposed to even start? 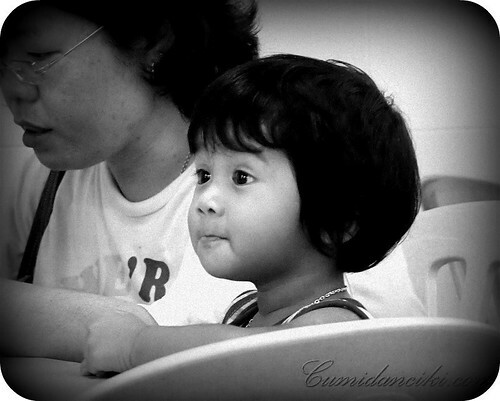 Never fear .. Cumi and Ciki are here to lead the way.. today we take on Taman Yulek in Cheras. The food is so good and the price so affordable.. it’s almost unreal that places like these still exist in this day and age. Are you going to serve me my bowl of pork noodles? Hurry up already!! Ooo.. so delicious, please kiss the pork ball goodbye! 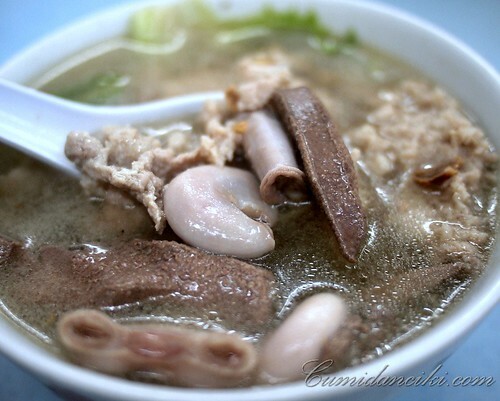 Almost in atonement, there are signs of lush greens in your soupy bowl of pork mince, pork liver, pork spleen, pork balls and pork intestine. Though conspicuous, it’s going to take a lot more than just a dab of fresh leaves, to make you feel like you’re having a healthy and nourishing meal. If you notice the floating bits of fried pork lard in your soup, then you definitely know it’s a bowl of super cholesterol laden delectables. The best things in life are….. GREASY! 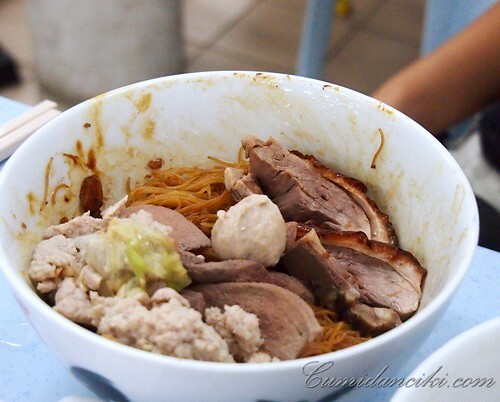 More minced pork and fried pork lard bits that sit crisply on top of your bowl of noodles. 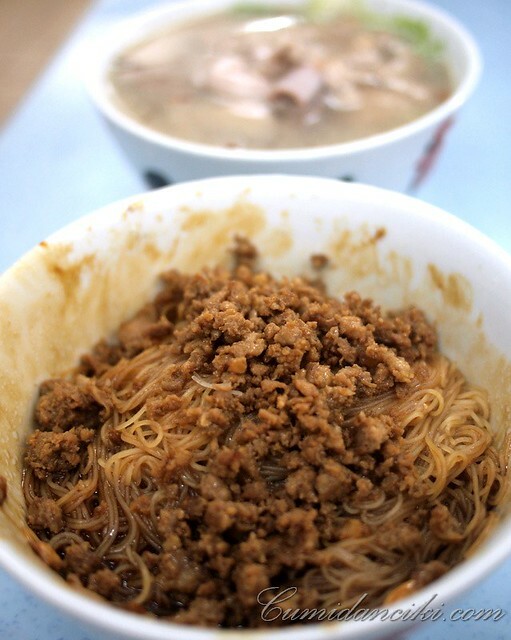 Mix in the dark sauce and all the minced meat thoroughly so that the noodles soak up the flavour. It really tastes better this way. 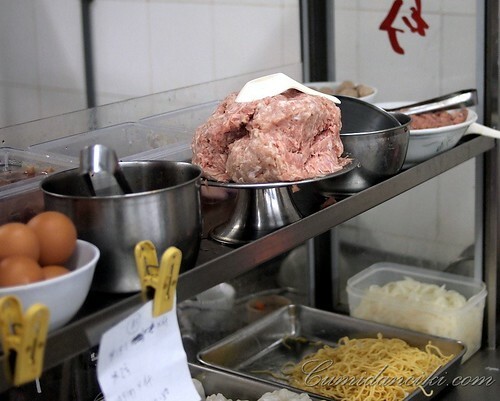 Because one can never have too much minced pork. 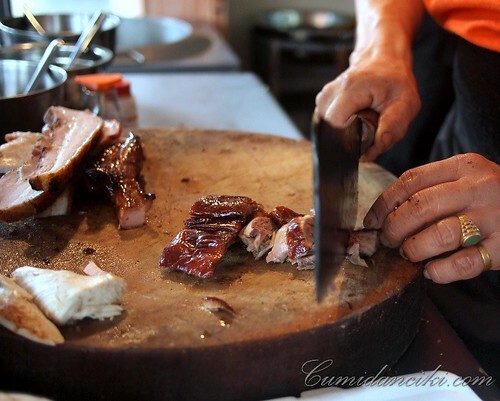 This is how we end up eating it.. with our pork noodles! Totally satisfying! thats a LOT OF PORK inside that bowl of soup! kah liu ar? No.. that was a regular bowl! 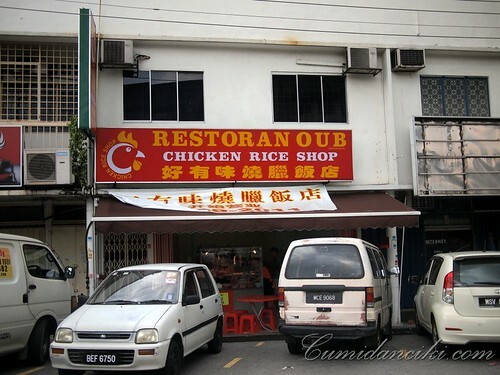 Is this near Meng Shiang? Yes, just further down the road babe. 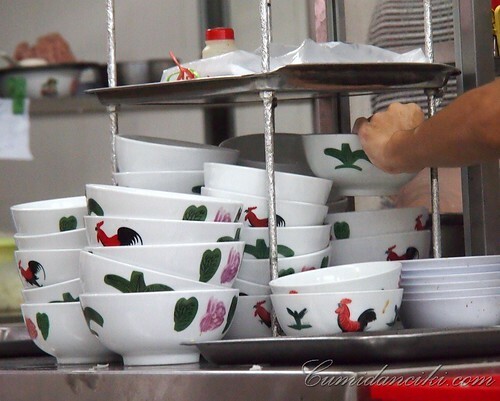 2) There are red rooster bowls. 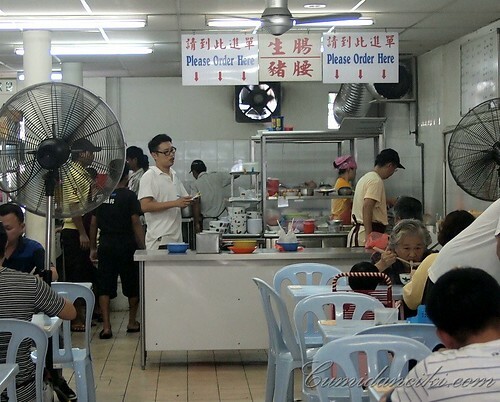 3) You can complement 1 hawker dish with a neighbouring dish … Only in Malaysia! One week to returning home … Couldn’t come soon enough!! Since you’re back soon Jules, let’s go eat here! Not in Malaysia they won’t. If they do, we will be the first ones to move!